Are you looking for ways to experience more love and serenity? Do you realize how much more love you feel in your heart and allow in your life? Are you in love with all of life? Do you wish for peace and harmony for all beings? Are you experiencing states of exhilaration? Are you consciously allowing an activation of your Light-body to higher frequencies? 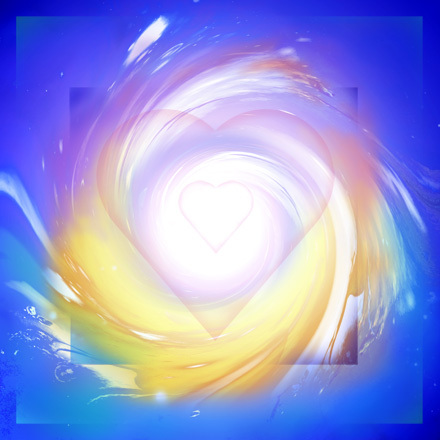 Do you feel this amazing energy of love in your heart center, activating your luminescence? Are you eager to do your homework—inner spiritual healing work—and clean house to the core of your DNA-RNA to feel free and to breathe with ease and grace? Are ready to allow this purification of your being and experience who you truly are? Are you tired of feeling depressed and feeling a victim? Do you want to let go of this! Are you longing for increasing love in your heart, in your whole being and space? Are you wanting to feel truly loved and to love all beings and all of life? Are you eager to experience blissful serenity? Are you wanting to see what is really true? Are you ready to listen to the whispers and voices emanating from the essence of all that is in creation? Are you ready to commune with the Angels? Are you ready to allow and feel that sacred space of pure unconditional love moving through you, emanating from your heart and from the heart of all life? • If you experience some or all of the above and everything in between—yes—you are awakening! Please take care of your beautiful Self in loving nurturing ways, meditate and pray to open a sacred space that is free from all limitations. Call in your sacred space the four sacred directions, South, East, North, and West, and then Heaven and Earth—and then anchor this into your heart. Call in the Divine Angels of Light, the Luminescent ones! That space allows an activation of your luminescence. In that space everything is possible. Discover who you truly are in that space. Create your reality in that space with reverence. Move beyond the physical reality and live from love light energy consciousness—discover the divine design of life. Feel and express profound gratitude. Meditate on your intentions and write them down. Clear intentions are guiding your journey—choose your intentions from a consciousness of the heart—it is Love. Meditate and enjoy the energies of Love moving through your heart—moving all the way to your eighth chakra (above your head) illuminating your whole being and field—illuminating the whole world! You are the Light! Enjoy this December 2014, Activation Portal directly from Source, emerging through and from the core essence of your Sacred Heart! I AM A CHANNEL THROUGH WHICH THE ANGELS COMMUNICATE AND I AM OF SERVICE TO YOU! Wishing you Happy Awakening and Peace!